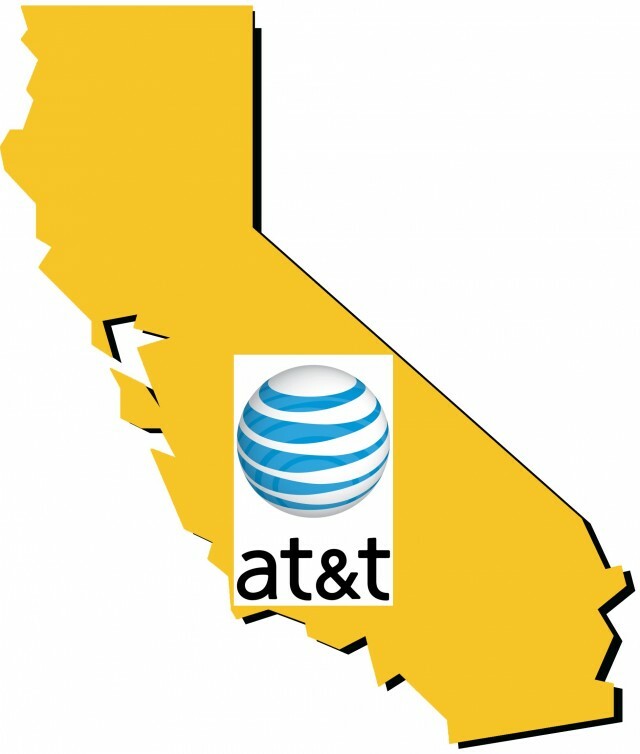 AT&T’s latest effort to rid itself of universal service obligations and a commitment to offer discounted phone service to more than one million low-income Californians has been temporarily stopped in the state legislature after advocates for the poor objected to the bill. AB 1407 would have made major changes to the state’s regulations governing LifeLine, the low-cost phone service for the poor. In its place, both AT&T and Verizon advocated a voucher program that would effectively raise rates for everyone, gut regulatory authority to limit future rate hikes, and open a loophole that could allow phone companies to unilaterally abandon landline service in favor of wireless. 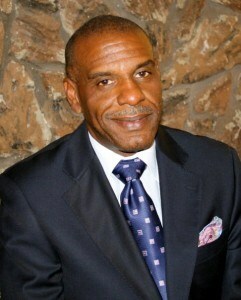 The bill, introduced by Assemblyman Steven Bradford (D-Gardena), would drop the current LifeLine program offering landline service at rates not to exceed $6.84 a month and replace it with a fixed amount voucher worth $11.85 a month that could be applied to reduce a wireless or landline provider bill. AT&T says the proposal will make it easier for consumers to adopt wireless LifeLine phone service and cut burdensome oversight and rate regulations. Consumer groups argue the legislation delivers all of its benefits to phone companies like AT&T while eliminating consumer protection regulations. The California Public Utilities Commission (CPUC) also complained the bill could end guaranteed quality landline service, potentially permitting AT&T and other companies to stop providing wired phone service and force customers to wireless services instead. The little-known and less understood bill moved quickly through the Democratic-controlled legislature over the summer and on July 9, AB 1407 passed a key Senate committee in a 6-1 vote, well on the way to passage in the state Senate. Consumer groups and low-income advocates learned of the bill and launched a broad-based opposition campaign including the Coalition for Economic Survival, AARP, the California Labor Federation and The Utility Reform Network. The Howard Jarvis Taxpayers Association, a tea party group that vigilantly monitors the state legislature for attempts to circumvent Proposition 13 limits on tax hikes, also opposed the measure because it adds a 3.3% state-mandated surcharge on all intrastate telephone services, also applicable to Voice over IP providers. AT&T found a good friend in Bradford, who has advocated for the company’s interests since AT&T became his biggest campaign contributor by far, donating more than $40,000 to his re-election coffers. Bradford and AT&T’s lobbyists, dominating earlier discussions on AB 1407, were overrun at an Aug. 19 hearing when a group of tenants from San Francisco’s Central City SRO Collaborative (CCSRO) appeared and opposed the bill and its impact on the poor. BeyondChron noted Bradford was so confident about the momentum his AT&T-ghost-written bill had received, he waived his testimony. Minutes later, he discovered the growing number of speakers lined up to oppose the bill. Bradford then attempted to rebut the surprising opposition, but it was too late. The tenants persuaded the majority on the Senate Appropriations Committee to suspend further consideration of the bill for now. The proposed legislation had support from a number of elected officials, almost all recipients of AT&T campaign contributions. Verizon is linked from COFEM’s home page. Bakersfield Homeless Center: AT&T is a funding partner. Brotherhood Crusade: AT&T is a “silver partner.” Verizon, which also supports the measure, is a “platinum” donor. California Hispanic Chamber of Commerce: AT&T is a corporate member. California Partnership to End Domestic Violence: Verizon cut them a check for $130,000 to become a partner. Center for Fathers and Families: AT&T is a sponsor. 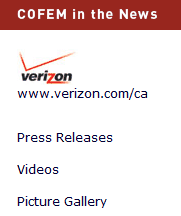 COFEM: Verizon is so important to their mission, the company’s logo is on the group’s home page. Eskaton Foundation: AT&T is a “level 3” donor. We stopped looking after researching the first 20 groups, but it is highly likely the others will also have similar ties. Although Assemblyman Bradford repeatedly has claimed there is no intent to eliminate or diminish universal service “Carrier of Last Resort (COLR)” obligations that require basic phone service be provided to any California resident requesting it, the CPUC found ambiguous language in the bill that muddies the author’s intent. One section of AB 1407 states that “any lifeline provider, including a local exchange carrier, may use any technology, or multiple technologies, within the provider’s service territory.” This could be interpreted to allow a provider to meet its basic service obligation with wireless technology that may not meet the CPUC’s definition of basic landline service. The legislation repeatedly states LifeLine providers should only be obligated to offer the minimum service elements as required by the FCC. Those provisions ignore the CPUC’s own rules and AT&T could theoretically prevent a wireless LifeLine customer from switching back to landline service because the wireless alternative is considered good enough. Provisions requiring providers to offer surcharge-free outgoing calling service, touch-tone dialing, directory assistance (for LifeLine customers), access to an operator, a listing in the telephone directory, and a copy of the White Pages are eliminated. The bill is probably shelved for the rest of this year but will likely return for consideration in 2014.